Looking for a simple and powerful mobile ordering system? VisitBasis Field Sales makes orders fast and easy using Android and iOS tablets and smartphones and provides wide capabilities to service your customers’ needs. 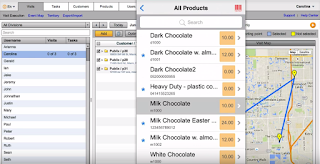 Built-in bar-code scanner allows field reps to add items to an order by simply scanning. Automated product selection reduces time for product search, while minimizing mistakes. When order is complete, it’s instantly available at the office for further processing due to automatic synchronization. Customer database and product catalog allow field reps to quickly access the information on points of sale, products, prices, recommended quantities, and must stock lists. 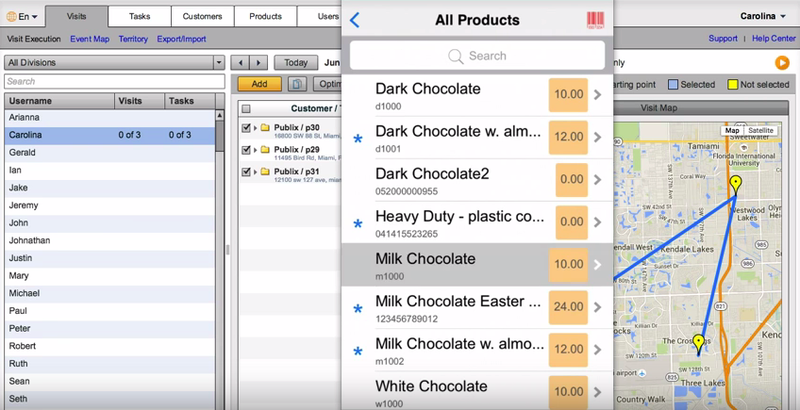 Using VisitBasis Field Sales App for order taking, your field reps are always able to view previous orders and returns, identify past out-of-stock patterns to get data-driven insights for the next orders. VisitBasis Field Sales App also allows managing price lists and discounts and adding text notes to orders. All orders are GPS-confirmed and signed electronically. VisitBasis Field Sales App is a comprehensive retail execution solution that is not limited by your order taking needs. Having VisitBasis App on their tablets and smartphones, your field reps are able to conduct retail audits, market research, and customer survey, perform merchandising activities, make photo reports, manage inventory levels, and analyze competitors. VisitBasis Retail Execution system is a great all-in-one solution for field service-based CPG and FMCG companies. Ready to move your retail execution to the next level? Visit www.visitbasis.com to get your all-in-one order taking App free of charge. I stumbled on this blog when I was looking for market research tools on Cuspera. They have an interesting list there. https://www.cuspera.com/app/increase-revenue-by-market-research/G2-A82--/context?industry=computer-software. Your article is really helpful as it has clarified some of my questions. Can you suggest some latest market research tools for my ecommerce business ? Thanks in advance.